I have been helping men and women get back with their ex boyfriends and ex girlfriends for over three and a half years. I have responded to over 20,000 comments through this site and my other site, Ex Boyfriend Recovery and have seen quite a few things along the way. In an effort to help more people through my websites I have been playing closer attention to the comments I am getting and looking for trends. For example, if I notice a type of comment that is continually getting asked then I know that a lot of people are having that issue and I will write an article about it. Well, yesterday I got so many comments of a certain nature that I felt compelled to stop working on another article I was working on and start a new one, this one. What were the comments about? More specifically, men who had addictive behavior and were trying to get their ex girlfriends back. I get a lot of comments here on Ex Girlfriend Recovery. Men from all walks of life come to me in search of advice on how to win the love of their life back. Of course, like I said, a few days ago I did a scan of this sites comments just to get a general idea with what you guys were struggling with and the thing that stuck out to me were addiction comments. For example, one young man seemed to be addicted to playing video games. In fact, he was playing so much that to his own admission he was starting to damage his relationship with his girlfriend. The point I am getting at here is simple, while I would love to continue talking about the general concepts of getting an ex girlfriend back on this site I feel it is extremely important if I address these problems first. I am writing this page for those of you who are trying to get your ex girlfriend back if you have an addiction. More specifically, I am writing it for those of you whose addiction was so prevalent that it was the underlying cause of your breakup. For example, if you and your ex girlfriend constantly fought about your problems with addiction of some sort then I am willing to bet that your addiction probably factored into her decision to leave you. That is where this article comes in handy. It is going to show you exactly what steps you need to take to not only recover her but recover your non-addicted personality. YES, my book, Ex Girlfriend Recovery PRO can still work for you if you have an addiction. I know exactly what you are thinking. While you may think that you are above this I guarantee you that you are not. In fact, I am not afraid that I go through addictive periods just like you probably do. While I have never taken any drugs and the only time I really drink is socially I do have a problem with playing certain video games from time to time. You see, I am the type of person that hates leaving things unfinished. I mean, It literally annoys me that I can’t finish these massive articles all in one sitting. Nope, instead it takes days sometimes weeks to complete them and it annoys me to no end. Video games are the same way. Once I start a video game I can’t stop until it’s finished which of course is a problem if you pick up a game that can never be finished. I am thinking of you World of Warcraft ;). I remember ten years ago I got very addicted to that World of Warcraft game. It got to the point that, that was all I was doing for months. Looking back it was kind of a dumb thing to engage in so heavily. I mean, all the characters and quests were fake and I didn’t get any physical or financial reward at all (except maybe getting fat which isn’t really a reward.) If you look at the definition given above about addiction I was definitely addicted to WOW. A state characterized by compulsive engagement in rewarding stimuli = Me constantly playing WOW and it making me feel good. When most people think of addiction they think of the hard addictions like drugs, alcohol and cigarettes. However, don’t think you are above addiction if you have the smaller ones like video games, shopping or working too much. Too many of those little addictions can be just as devastating to a relationship as the bigger more well known ones. Lets take a deeper look at all the types of addictions that men can have that cause women to leave them. Believe it or not but there is such a thing as positive addictions. I know that is weird for me to say but in my opinion someone who has to work out every single day is addicted to excercise. Now, while maybe there is a negative aspect with the loss of time it takes to excercise there is also a positive effect that working out has on your body. In this section we aren’t going to be covering “all” the addictions out there. No, we are just going to be looking at the addictions that have a negative impact on your relationship. In other words, did you addiction in some way, shape or form contribute to your break with your ex girlfriend? That’s what we are going to explore. 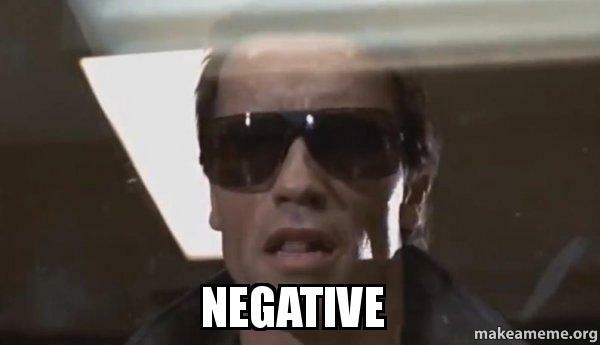 Ok, before I really dive in here I would like to give you a brief overview of the negative addictions that I am going to be talking about. I’ll admit, I can sympathize with this. Based on what I am seeing there are a lot of young men out there that have a video game addiction. You see, what ends up happening is that they end up playing video games so much that they completely neglect their girlfriends. Let me paint you a picture for a moment. Imagine that you and your ex girlfriend are still “official” and you are living together. You have just gotten the newest Final Fantasy game (hey I have a bit of a nerdy side and this is my chance to show it off.) The game is absolutely incredible and you are glued to the screen so much that everything that happens in that fantasy world just captivates you. Then, all of a sudden, your girlfriend (your ex) comes home from work excited to see you and instead of rushing to the door to greet her with a kiss you completely ignore her and are focused on the game. Oh, and I guess I should mention that this is the fifth day in a row that this exact thing has happened. Relationships can’t survive without communication and attention. Each member has to communicate with each other and set aside time earmarked for just that one person. Look, I am in agreement that everyone needs some alone time here and there but people also need together time too. Someone who has a video game addiction has put an emphasis on alone time and is completely ignoring together time. All your girlfriend wanted from you was a little attention. She just wanted someone she could vent to about how bad her day was or what’s happening in the office. YOU were her go to guy for this. However, since you keep ignoring her in favor of video games she feels alienated and alone. So, instead of relying on you emotionally for things (which is usually a good place to be) she is going to rely on her guy friend, Bob, for that. Hint: He will try to sleep with her. It’s funny, today a comment I answered really stuck out to me because I don’t think I have heard anything quite like it before. While I don’t think this fellow has an alcohol addiction I do know one thing, he drank too much. Yup, apparantely he has scared his girlfriend off since it was her window that he punched. Too much alcohol can be very dangerous for a man. Not only does it dull the sense but some people can have a very violent reaction to it. I mean, we have all heard the stories where a guy gets too drunk and smacks around his girlfriend. Alcohol addiction is a very serious matter and if you drink too much you need to get help. Look, most alcoholics don’t think they are alcoholics so don’t think you are above it. 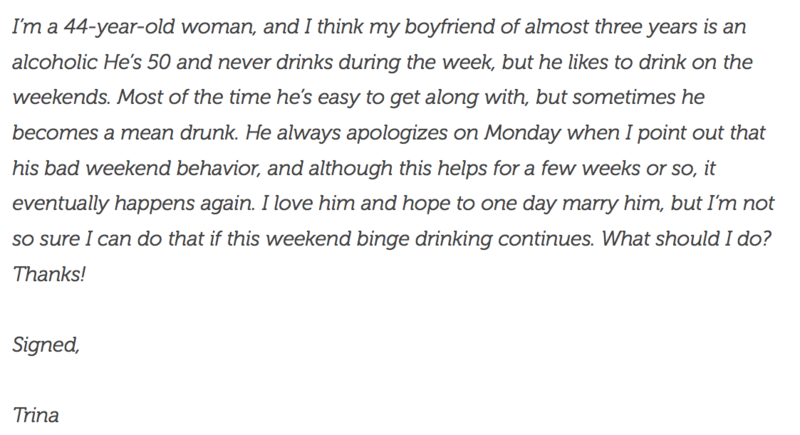 This woman is clearly head over heels in love with a guy who drinks too much. Oh, and he may end up abusing her physically and emotionally. The sad part is, is that because of her feelings she doesn’t feel strong enough to walk away from the situation. Do you want to know how alcohol affects relationships? Well, I read in an article that the woman who asked the question above was not only treated horribly but she was beaten so bad that she actually had to go to the hospital. Thankfully, her boyfriend who did it to her was arrested but the lesson to take from it here is that he came home in a drunken rage one Saturday and that is when all hell broke loose. Don’t sit there and tell me that alcohol addiction can ever have a positive impact on a relationship because in my opinion it can’t. You may be wondering why I put drugs and cigarettes together. I mean, I am sure someone snorting cocaine or doing crystal meth is going to have a lot more problems than someone who smokes but to me I put smoking on the same level. Because it is nasty as hell. I live in the first story of an apartment with two stories above me. Now, as I am sure you have already surmised I am not a fan of smoking at all. I would say that I try not to judge people on it but the truth is I do. I think it is totally nasty and it makes no sense to me as to why you would want to do something that has proven to end your life quicker but we are getting a little off topic here. Anyways, I live in an apartment on the first floor and there is a couple that lives above me who I swear are chain smokers. In fact, they smoke so much that at times I can smell their nasty secondhand smoke in my apartment and it drives me nuts. There have been times where I have contemplated going out and buying them “stop smoking” manuals just to prove a point. I imagine this is how most girlfriends feel about their boyfriends smoking or drug addictions that they don’t approve of. I don’t really think I need to get too deep here. then you definitely know what I am talking about. I talk to a lot of men and women every day and I have heard a lot of sob stories when it comes to drugs and cigarettes. The funny thing I have noticed about these stories is that they always end up in one of two ways. 1. Either the couple gets into a fight over the addiction. 2. They both join in on the addiction. In my opinion, neither one of these options has a positive impact on a relationship. Take option one for example. If you have a drug problem or smoking problem and your girlfriend is constantly arguing with you over it then that means that instead of adding positive experiences into the relationship bank you are constantly adding negative ones. Now, the last time I looked the most healthy relationships out there didn’t consist of two people constantly arguing over an addiction. No, it consisted of both members of the relationship working together in harmony. Lets take a look at option two now. Every once in a while you will get some dumb girl that gets convinced that in order to get “closer” to her boyfriend she is going to have to engage in what he is engaging in. Lets stick with our breaking bad theme and say that this girls boyfriend is addicted to crystal meth. Well, if this girl gets hooked on crystal meth then that is going to create a whole new set of problems. For example, both of them are going to have a meth habit and probably run through their savings to feed it. Oh, and if they have a kid together then that means that this kid is totally going to be ignored in favor of some silly addiction. This is probably a more common addiction than any other out there. Heck, I am not sure if you can even classify this as an addiction. I mean, no one really wants to work. Unfortunately, living in this world costs money and in order to make that money we have to work. Now, I know I have readers from all over the world on this site and the amount of time at which people work varies from country to country. However, I am going to use the United States as an example here since the U.S. loves stressing families out with insane work schedules. When it comes to relationships we all crave that special alone time with our partner. Unfortunately, many couples won’t get that time because they are going to be forced to go to work. How often have you heard that couples break up because they couldn’t see each other enough? Heck, I even know what it feels like to want that alone time with your partner but have her not be in a position to give it to you because of the constraints of work. I personally think it is important for both members of the relationship to carve out some time for each other no matter what because in the end if you can’t find that alone time someone is going to start to resent it. Imagine that you are a workaholic (you have insane hours) and your girlfriend is a stay at home mom. Anyways, your job requires you to wake up as early as 5 a.m. and you don’t get home until 9 p.m. every night. By the time you get home you are so tired the only thing you really want to do is eat and sleep. Spending time with your girlfriend is not a high priority. Your girlfriend on the other hand is starting to feel alone. You are gone all day long and when she does see you it’s only for a maximum of an hour and in that hour you are so tired that you are kind of standoffish towards her. Well, your girlfriend is lonely and that’s when Bob swoops in. The stay at home dad that lives across the block? All of a sudden Bob is starting to get close to your woman while you are at work. Clearly you are on this site because you want your ex girlfriend back. Now, I am assuming that since you have read this far down on the page the demise of your relationship came as a direct result of some type of addiction. For example, if your ex girlfriend broke up with you because you neglected her to play video games then she probably broke up with you as a result of your video game addiction. I bet you can guess what I am going to say next. If you want to successfully win your ex girlfriend back then you are going to have to find a way to get rid of your addiction. What I am going to do now is give you a game plan that you can follow to kick each one of the addictions I discussed above. 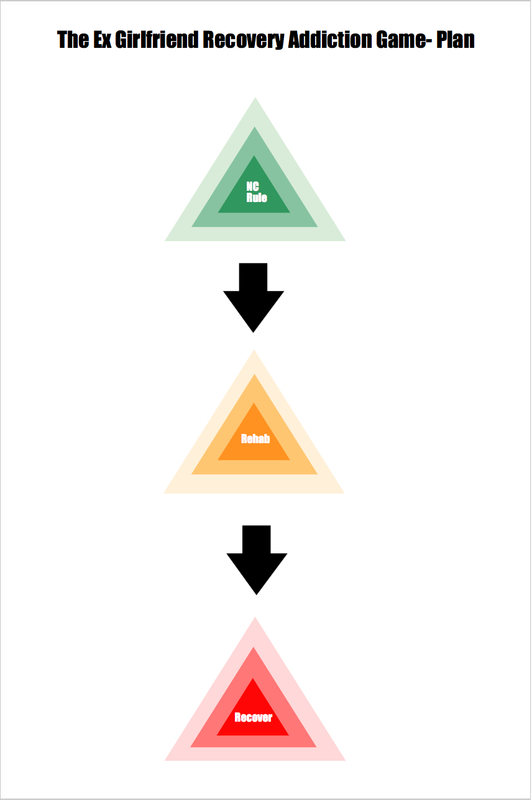 There are three main parts to this game plan. Lets take a good look at these three components now. If you are familiar with my website or my E-Book then you would know that the no contact rule is a vital part of the strategy to get your ex girlfriend book. Of course, when you deal with exes the one commonality from situation to situation is the fact that no two situations are aliek. In other words, how you use the no contact rule in one situation may not necessarily apply to another one. So, how are you supposed to use the no contact rule if your ex girlfriend broke up with you due to an addiction that you have? Are you even supposed to use the no contact rule? Of course, instead of spending all of your no contact rule obsessing about your ex girlfriend you really need to be focusing on yourself more than ever. I know I say that to everyone who uses the no contact really but it is VITALLY important for you. Because you need to get rid of that addiction. That leads us to the next component of the game plan. You really don’t have a shot of getting your ex girlfriend back if you still have your addiction to drugs or cigarettes or video games. This is where the no contact rule comes in handy. 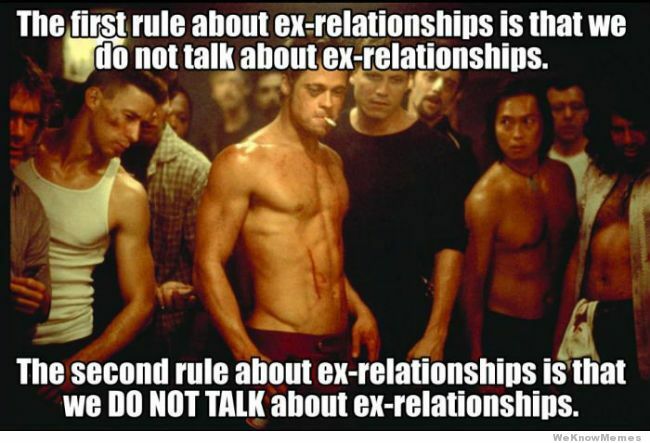 By ignoring your ex through the no contact rule you are going to be essentially killing two birds with one stone. First Bird- You will be making your ex girlfriend miss you by essentially ignoring her. Second Bird- You are going to be getting valuable time to work on rehabbing your addiction. 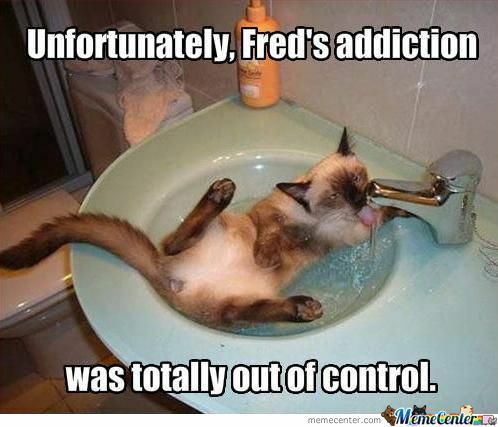 Of course, certain addictions are going to require different types of rehabilitation methods. For example, someone who has a drug addiction is going to require more professional help than someone who just plays too many video games. Lets take a look at the differences in rehabilitation that you will have from addiction to addiction. 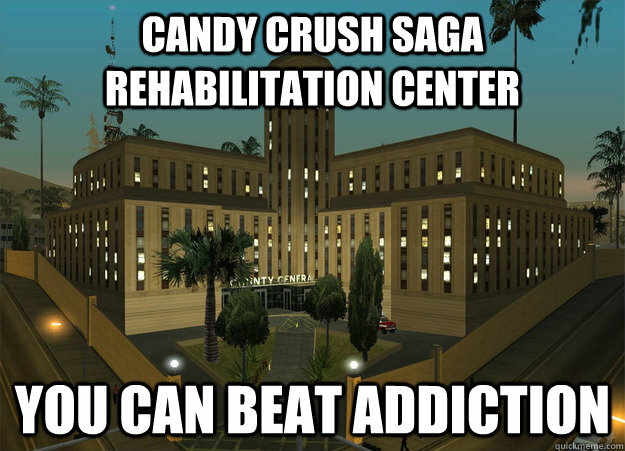 How do you rehab a video game addiction? I mean, the last time I checked there wasn’t a VGA (video games anonymous) group for you to attend. 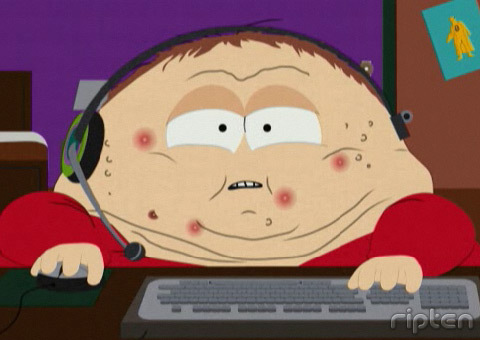 Remember at the beginning of this article I talked about my own little mini addiction with World of Warcraft (just reference the south park picture above if you need reminding.) Well, the way that I kicked World of Warcraft was I literally had to throw it out. I removed the temptation entirely and found some other way to fill the time. I imagine for a video game addiction you are going to have to do the same thing. You are going to have to throw your games out…. It is a bit extreme but you want your girlfriend back, right? Being an alcoholic is a very serious matter and you should seek professional help immediately. Check yourself into rehab and start visiting AA meetings. Do everything you can to kick this horrible habit. Quitting smoking can be especially hard. However, it is very possible as many people have done it before. You may have to spend some money to buy a few “quit smoking” courses. Getting the love of your life back or sneaking a few cigarettes in a day? GO TO DRUG REHAB IMMEDIATELY. You need professional help and I am not a drug rehabilitation expert. I am just a lowly, “get your ex back” expert. This is a tougher one because it’s not like you can just quit your job especially if you are relying on that job to pay your rent. What I would say is that when you do get your ex girlfriend back (I am thinking positive here) make sure that she is priority number one. Even if you have to stay up a bit later to see her, DO IT. Find a way to work her in your schedule. Do not forget that she will feel neglected if you don’t. Your ex girlfriend broke up with you for a reason, you have an addiction. So, she already has negative experiences with you that she associates with that addiction. In order to overcome those negative experiences and get her back you are going to have to overcome your addiction and eliminate it. So, my advice to you here is actually quite simple. Before you can even try any of the tactics to get her back make sure you have defeated your addiction. As for the exact steps on how to get her back..